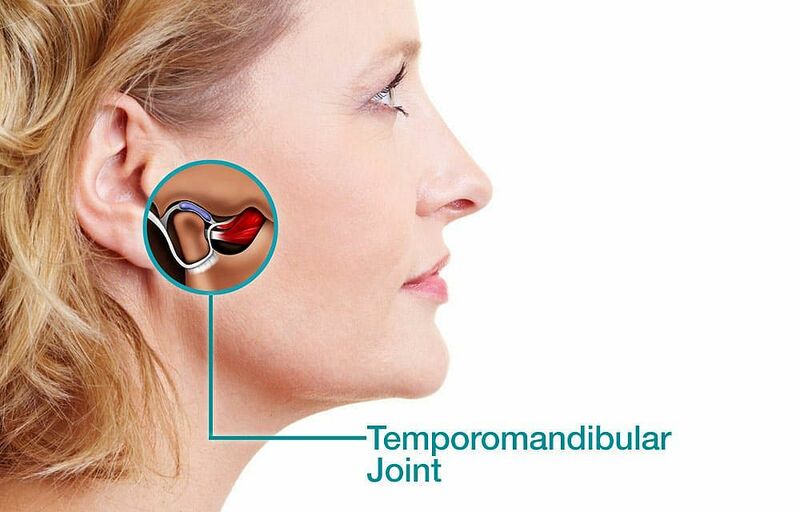 Signs and symptoms of temporomandibular joint TMJ syndrome? Largely the signs and symptoms of temperomandibular joint syndrome is formed by some problems of the dentition or how they use the teeth. The teeth would be missing, the patient would have removed the teeth due to caries or the alignment of the upper and lower teeth may not be appropriate in order to effectively chew or over a certain period of time they might have developed certain habits like abnormal postures or grinding which can cause constant stress on the joint. Other than this there could be some direct trauma to the joint which can lead to the joint getting inflamed. When the joint gets inflamed the symptoms will get spread in and around the joint. The patient can come to us with ear pain mainly because the joint is just 2 to 3mm in front of the ear. Patient is under the concept that there is a problem in the ear. It is a pain syndrome.